Facebook has achieved another important goal of having 1 billion users in a Month, according to a statement issued by the officials of the company. Since its introduction in 2004, after eight years of tough and stiff competition, the leading social media network has approached to 1 billion active users in a month. 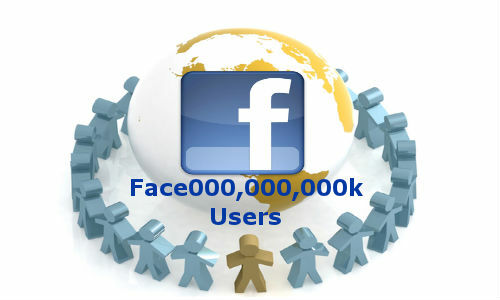 Mark Zuckerberg confirms that now facebook has 1 billion active users around the world. That means 1 person out of seven persons in the world is using this leading social media group. This milestone has been achieved exactly after two years and three months when Zuckerberg announced his ambition of getting 1 billion users at the official ceremony of facebook when it achieved half billion users’ milestone. According to the official spokesperson of the facebook, they achieved the target of 900 million users during this April, 2012. As the statistics released by the spokesperson of facebook, facebbok recorded 1.13 trillion likes, 140.3 billion friend connections and 219 billion shared photos since it has been launched in February 2004. He further added that more than 300 million photos are uploaded on daily basis more than 62.5 billion songs are played on daily basis too. According to the Financial Advisor of the leading social media group, this news will also provide relief to its share which is facing serious problems now days. He informed that since the IPO of facebook’s shre at $ 38 in May, 2012, its share value has been dropped to $ 21 during the first week of October, 2012. Due to this, the name of facebook’s founder was removed from Forbes 400 list as his personal income fell by $ 8.1. According to a financial analyst, the average revenue earning of facebook from its users is $ 14 in US and about $ 3 in rest of the world. Facebook’s primary sources of income are advertising and payments for different features including gaming. The leading social networking site has recently launched paid posts for individual users through they will be able to promote their news in their friend’s timeline just after the payment of $ 7.